Test access limitations in modern systems have made it increasingly difficult to probe and troubleshoot electronic system prototypes—dense circuit boards with ball-grid-array (BGA) components include signals with no physical access points, limiting the usefulness of external equipment. Bringing up a board prototype during new product introduction (NPI) has never been more difficult. 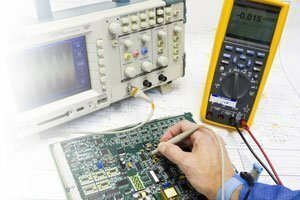 Corelis products provide the means to non-intrusively test systems with limited access, providing electronic hardware engineers with the tools they need to develop and debug prototypes. Software and firmware engineers also benefit: since Corelis boundary-scan and JTAG embedded tools run directly on the hardware, system tests can be deployed before firmware and software are even ready, providing confidence in the hardware and ensuring a solid base for software development. For added value, Corelis ScanExpress tools are designed to be used throughout the product life-cycle; the same tests used for product development and debug to be migrated and re-used for manufacturing test, repair/rework stations, and even field test and repair. ScanExpress Tools – Designed to be used throughout the product life-cycle, ScanExpress tools are a great way to test and debug systems under development. JTAG Starter Kit – Get started with our basic JTAG package—visualize and control IC pins, create and execute test scripts, and more. Bus Analyzers – Corelis bus analyzers and exercisers are a great way to validate your I2C and SPI data buses.